Though there are numerous solutions out there for treating and managing Attention Deficit Disorder in children as well as adults, the overwhelming majority of people elect to take advantage of ADD medication solutions to help them lead the kind of happy, healthy, and well-adjusted lifestyle they deserve. Depending upon the specific source of research, experts estimate that there are 100 million or more people right now living with ADD or ADHD. Alarmingly, this number continues to rise on a day to day basis, as we’ve seen the number of ADD diagnoses jump sky high (especially in children) over the last 15 years. This is a very real, very serious, and very important problem that we need to tackle together – giving everyone suffering with ADD and ADHD the very best in modern medicine and therapy to help them combat this mental condition. Choosing the best ADD medication goes a long way in arming those individuals with everything they need to win the battle. Of course, one simply cannot choose to move forward with a medication for ADD/ADHD willy-nilly. A legitimate diagnosis needs to be made by a trusted and highly trained medical professional (using a variety of different tests designed to determine whether or not one is exhibiting this kind of behavior linked to this condition) – and even then there are serious conversations that need to take place before any prescription drugs are turned over. That’s because many of these medications have the potential to do incredible good, but also have the potential to cause some very real and serious side effects – side effects that need to be addressed. We are going to touch on all of that in this quick guide. Trying to choose from all of the different ADD medications without completely understanding all of the different options available to you is the height of lunacy. And yet, that’s exactly what millions and millions of people do all over the world every single year. They jump on board the Ritalin or Adderall train and ride it all the way to the next station – usually dealing with unanticipated or unexpected side effects that threaten their short and long term health. Obviously that kind of approach just isn’t going to work. No, instead you’re going to need to understand exactly which options are available to you as well as what these medicines are capable of (and what they are not). When you arm yourself with this level of information, you’ll be able to have honest conversations with a medical professional about the choices available to you – but more importantly and that, you’ll be able to go forward with a medication that you feel completely comfortable with. There’s a world of difference between feeling like you “have” to take something versus you “get” to take something. And it’s not just a difference of semantics – the difference is tangible, and can help you expedite your ADD management process. First, let’s get this out of the way right off the bat. There is no such thing as an ADD medicine that acts as a “magic bullet”. Sure, the overwhelming majority of prescription solutions out there are going to give you every edge and advantage when it comes to defeating ADD and ADHD. But there isn’t anything available today that is going to completely eliminate work cure this kind of condition once and for all. We just don’t have that kind of option available – at least not yet, anyway. Hundreds (maybe even thousands) of medical experts, researchers, and scientists are working around the clock all over the world to finally come up with a once and for all cure for ADD, but the research just isn’t there yet and they haven’t been able to come across this “magic bullet” kind of solution. Understanding this before you even start to take advantage of a prescription drug is of the utmost importance. You’ll begin to use these medications under the pretense that they are to help you manage ADD symptoms, not eliminate them completely – and you’ll understand the limitations that these chemical solutions are riddled with. That doesn’t mean that ADD medicine isn’t worth taking advantage of. Nothing could be further from the truth, actually. ADD/ADHD medications are very effective at helping people better manage their symptoms, sometimes to the point that the ADD/ADHD symptoms don’t even present themselves for years and years on end. Many of these life-changing results are accomplished through a specific protocol of medications and alternative solutions, but it’s nice to know that there are options out there that can help you get your life on track without any headache or hassle. Another critical detail that you’re going to want to be aware of is that there is very, very little difference between generic ADD drugs and “brand name” ADD drugs. Brand-name solutions are usually pushed by doctors and psychiatrists/psychologists first because they are (almost always) compensated for the recommendation, but there’s nothing stopping you from asking to take advantage of generic drugs that won’t hit your bank account quite as hard. From time to time you might feel more comfortable moving forward with a brand name solution, and there is certainly nothing wrong with that. If that’s the kind of route you want to take, just make sure that you alert your medical professional to your preference – and they should be able to dominate you appropriately. There is a lot of misinformation out there about the fact that generic prescription drugs aren’t quite as effective, as potent, or as reliable as brand-name solutions, but literally nothing could be further from the truth. Don’t get sucked into that nonsense. 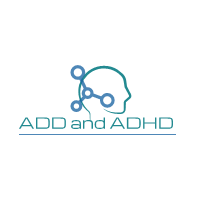 One of the most interesting things to come out of ADD and ADHD research is the discovery that stimulant-based drugs are very effective at eliminating ADD and ADHD style symptoms. The reason it is so surprising is that both of these conditions are usually linked to overactive minds and overactive bodies, and one just wouldn’t think that stimulating those already overproducing and overworked parts of the body would prove to be beneficial. However, just add this to another long list of things that we learn about the body that end up being incredibly counterintuitive to what we would have believed otherwise, just another “mystery of the mind”, if you will. Most of these stimulant based ADD medication options are recommended for short-term “boost” to control and manage ADD symptoms for a few hours at a time, and many of them are perfectly safe to use two or three times a day. Some of these options are more long-term result oriented, prescription pills that will slowly release their chemical compounds over an 8 to 12 hour period of time. These pills should only be taken once a day. Obviously, if you come across any of these symptoms while taking a stimulant based ADD solution you’ll want to discontinue use right away and contact your general practitioner for a device about how to go forward. Of course, there are a number of ADD medication list options out there that are quite capable of managing and mitigating these symptoms using non-stimulant solutions – and many people find them to be the most beneficial of the bunch. These options work to calm and quiet the mind as well as the body, greasing the wheels of communication between the mind and the central nervous system, if you will, to improve communication across the board. Unfortunately, there are some very powerful non-stimulant medications out there that have been prescribed to treat ADD and ADHD that would otherwise fall under the umbrella of antidepressants. While antidepressants have come a long way in the last 20 or 30 years, the truth of the matter is they are still quite dangerous and cause – or at least have the potential to cause – a significant amount of harm with continued use. You have to be very, very careful when you decide to take advantage of non-stimulants that could be classified as antidepressants. 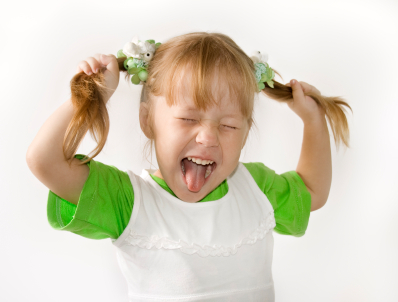 Fooling around with brain chemicals is never a good idea on a long-term basis. With all things considered, there are a lot of different things you should be able to do with the help of modern medicine to beat ADD and lead the kind of happy, healthy, and fulfilling lifestyle you’ve always wanted to. Modern science and research continue to make major strides when it comes to ADD (and understanding the brain in general), so don’t be surprised if we come across an amazing breakthrough that finally cures ADD and ADHD once and for all in the near future.